Last week, we talked about characters. But now they need a place. A well-rounded book has a setting. A good setting can create the atmosphere, whether it’s a real place or imagined. Real places are already established for the author, but they have to know it well. Imagined places require world building, and that can be a complex process. How do our authors tackle setting? Question 139 – How do you develop the setting of your stories? I develop setting the same way that I develop characters, by establishing a history, economics, rules, laws, mores, religions, geography, species etcetera and then strictly adhering to that until I need to ignore it, modify it, or do whatever else serves the story best. There were a lot of things for In Siege of Daylight that shifted or changed altogether as the story came together, but having the solid foundation at the beginning allowed me the framework to be flexible when needed. Also, thinking thoroughly through things like economics and trade really add some realism and nuance to your cultures and countries. Growing up, I played a lot of Dungeons & Dragons. A LOT. This can be dangerous, because it can lock you in the stereotypes of RPG races and countries, but the mechanics of world-building really do come in handy when applied properly. Early version of the world of In Siege of Daylight were a campaign setting, and by fleshing out the world with adventures, characters and storylines that evolved unexpectedly it really helped develop the mythology and depth of the world. For my science fiction setting of Greyspace, its a pretty similar method. I did a lot of research into space travel, emerging bio-tech, military tech, submarines (similar to spacecraft in terms of crew composition and psychology, and then a lot of different stuff on mythology and folklore for the magic elements. Again, a lot changed, but getting that solid footing for your world allows the leverage to pivot when you need to. Setting is dictated by the story line. On my first published novel, I set out to write a high-tech-hard sci-fi story. But the story line just refused to support it. There’s just so much going on all at once, the story would have been lost in the fog of all the gizmos and gadgets. My current WIP is set in a large city, because it features urban homeless people. As with characters, the specifics come about as the story develops. I don’t waste time on sketches and world-building because it changes as things come together, and I abhor “info dumps” that come with highly-developed worlds that authors are only too eager to show off. I have a hard time imagining settings, so I use real places to inspire me. Sometimes I name them (Kingston, Ontario, Canada is the main inspiration for the setting of my novel The Magician’s Curse), and sometimes I just observe and describe without making mention of where they are. I love to travel, and do so a lot just for the sake of my novels. In fact, I’m thinking about going to Edmonton in the coming months because the West Edmonton Mall is one of my settings. Maybe we can meet for coffee again, Jay Dee! For the most part I’ve had setting made to fit the plot and characters, and not really standing out otherwise. I’ve been trying to change that and have more interesting settings. Usually in giant brainstorming sessions. It grows in leaps and bounds, and the options for stories to tell grows exponentially. I have a lot of basic information compiled from over the years. Um, same answer as last week? Research. Lots of it. Setting and character can be quite closely connected in the ways they connect and contrast. I have a class on how to build character from setting on Skillshare. Sometimes I just write them. Sometimes I’ll kinda prep ahead of time by drawing certain places or objects, or by making lists of sounds and smells of places. Then when I go to write them, I try to remember that settings should use all five senses, and that they should add to the general mood/ feeling of the scene. Often times, I have a lot of work to do in the editing process, because I’ll be so caught up in writing the story that I forget to fully flesh-out the setting. It’s a multi-step process, and I’m always going back and working on it. In my first draft, settings are generally utilitarian, whatever is needed to make the scene happen. Most of my focus is on dialogue and action. There might be a couple distinctive characteristics to help me solidify what I see in my head while I’m writing. If the characters end up there more than once, I’ll probably add more details in that first draft and pull it all together with a more polished description during the first major edit. A large chunk of my writing, thus far, has been based within the real world, and so I’ve gone about my setting development by simply describing places I’ve actually been. “Nowhere to Hide“, for instance, has the characters moving about in a zombie-infested version of modern-day Earth, so without actually naming specific places, I simply had my characters move around in towns and areas I’ve actually been and worked from there. The beginning of “The Other World: Book One” is similar; the high school I describe is based on the college I actually went to, and the town Tori lives in is based on the town where I grew up. Moving outside of the real world is more difficult of course, which I learned with the rest of “The Other World: Book One“. I find it difficult to to “make up” settings, so I tend to stick to my “real world” method, while adding in “fantastic” elements. Such as, for instance, the scene in which Tori first realizes she’s in a parallel universe: the setting is a simple field with a small cabin, but when she looks up, the stars above come in a variety of shining colors. I’ve spent almost two decades developing just one setting, so it’s hard to say how that gestated (beside a bunch of notes in a high school journal that I just started adding onto infinitely). However, I’ve been developing a new setting on the side for a few years, in dribs and drabs, so… I guess it just starts with a core idea or problem to solve (for instance, make a world where zombies/undead are reanimated by ‘tainted’ water) then spin off of it to find the logic and culture that gets wrapped around the concept. Like…what is it about the water that does this reanimation? (It’s a goddess-of-undeath’s blood.) How did it get that way? (Enemies of the locals killed her, it’s her revenge.) Who were the enemies and who are the locals? (Enemies from overseas, locals etc etc…) What conflicts does this produce? What story seeds does it create? How many of those seeds can grow into the background-jungle of the main story, to add complexity to the world and themes but not entirely impinge upon the plot? Then, after I deal with most of those questions, I start researching and image-browsing for stuff that aesthetically suits the idea in my head, to build the visual facade of the setting over the bones of the stories it contains. When I start to write a story, the setting comes to me in pieces while I write, much like putting together a jigsaw puzzle. I know what the final image will look like, but the details fit themselves in during the writing process. Most of my stories take place during modern times in a fictional location. Then I just make up the rest as I go along. I enjoy writing stories on other worlds, both science fiction and fantasy. I do a lot of world building. For my Ariadne setting, I started out with the concept, and then I drew a world map. After that, I drew another map with 16 sheets of paper. I created mountains, rivers, seas, oceans, ice caps, and climate zones. I then created countries and cities, expanding the colony organically. I focused on a handful of places that are important for the first book. Although I haven’t done so yet, I plan on drawing city maps and any maps of important locations. You see, I love maps, and they help me visualise places much more vividly and with consistency. If you’re an author, how do you develop setting? Let us know in the comments below. Today marks a major anniversary in Japan and for me personally. I had a couple big videos this week, but I only uploaded a total of 3. There’s another I may be able to get up tonight, though. On my main channel, I only uploaded one video (another coming soon). This video is a continuation of my world building series. This time, it’s about making calendars for sci-fi and fantasy worlds. And then, moving on to the science channel, I have two new videos, including a science news video and my first video dedicated to a single science topic. The first video is a weekly science news video featuring stories about Hyperloop, Mars, and the white rhino that was killed by poachers. The second video is a science video about the big earthquake and tsunami in Japan in 2011. The next week will feature only one science video, though I’ll probably start preparing the April A to Z videos. I’ll also be doing some regular booktube videos. Which video did you enjoy the most? I’ve still been pretty busy recently, so not as many videos as I’d like. However, I uploaded 6 videos, 3 for each channel. On my main channel, I was able to do some regular videos, though I missed out on the Authors Answer video due to a very busy day and company being over. My science channel had its first 3 videos, including a science news video. For the main channel, I started off with a brief wrap up for February and a TBR for March. I then moved on to the World Building series with a video about how to create the planet. And then the regular Retro Book Review. This time, it was 2010: Odyssey Two. Moving on to the science channel, I uploaded a couple introductory videos and the first actual science video. Starting off is the channel trailer. And then I uploaded a channel introduction video. And then my weekly science news video. In this one, the background is kind of cheap-looking. I really would like a better quality camera, microphone, and backdrop. It was a pretty brief video, too. But check it out, please! Over the next week, I should have 3 videos for the science channel and around 3 or 4 for my main channel. And of course, I’d love it if you subscribed to my science channel. Let me know which videos you enjoyed in the comments section below. Upgrading! There have been a few changes to the channel. The biggest one you’ll notice is that the thumbnails have completely changed! Second thing is that I’ve started using Filmora, but only for one video so far. And third is a new series about World Building. But there’s more to come this coming week on both channels. That’s right, both channels! On my main channel, I uploaded 5 videos, all with new thumbnails. They’re bolder and look a lot cleaner, I think. First up is my latest Star Trek Project video with a review of episode 9, “Dagger of the Mind.” Check it out! Next up is the first world building video. In this one, I introduce the series. And the same day, I uploaded episode 1 of the world building series, this one talking about how to choose the star for your new world. I used Filmora to edit this video. It uses an overlay! Up next is my regular weekly Retro Book Review, now with an all new thumbnail. The review is for The Great Hunt, by Robert Jordan. Loved the book! Check out the review. And finally, the regular weekly Authors Answer video. And this one is all about different types of publishing. There was nothing for my science channel, but I have recorded a couple videos that will be up in the next few days. Those are the channel trailers for my main channel and the science channel. As time permits, I’ll be recording an introductory video for the science channel, as well. Due to a busy work schedule, there will be few videos over the next week. So, what did you think of the new thumbnails? Let me know what you think of them in the comments below. And also let me know which videos you enjoyed. I’ve started adapting my world building posts for video! I’ll be bringing the information to a whole new audience. For those of you who haven’t read my world building posts yet, you can also watch the videos. But the second video, or should I say the first episode, is based on a blog post. You’ll find that the post is more detailed, but the video has the most important points. Check out how to choose a star. This is also the first series of videos I’m making that uses thumbnails that I hope will be eyecatching. Let me know what you think. My cold got worse, then it got better. But that’s how it goes, right? But big things have been happening in the past week. Something new is coming very soon! I’ve made a little progress reading, but not much. I’m now at 7% in Theft of Swords by Michael J. Sullivan. I’ll be taking the bus more this week, so I expect more. No writing, but I’m working on some world building. And that’s another story for another section below. There’s been an improvement here. On my main channel, I posted 3 videos. However, there’s a big video coming this week. My first world building video! My science channel is coming around, as well. No videos yet, but I’ve got my channel trailer planned, and I’ll also be doing a lot of videos in April for the A to Z Challenge. Nothing, but I noticed that Japanese is finally going to be coming on Duolingo. 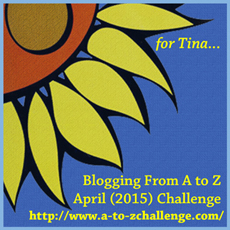 Like I mentioned before, I’ll be doing the A to Z Challenge in April, and my focus will be on science. I’ll be doing a 10 facts list for each science topic, plus videos that’ll be on my science channel. I should have 6 videos going up on my main channel this week, and I plan on making the channel trailer for my science channel. On the blog, the usual will be happening, but I’d like to do another Read the World post, as well as more Star Trek.